On Thursday, August 16th the world stood still as fans around the world heard of the passing of Aretha Franklin. I was one of those fans. The memories I had of Aretha flooded my brain. 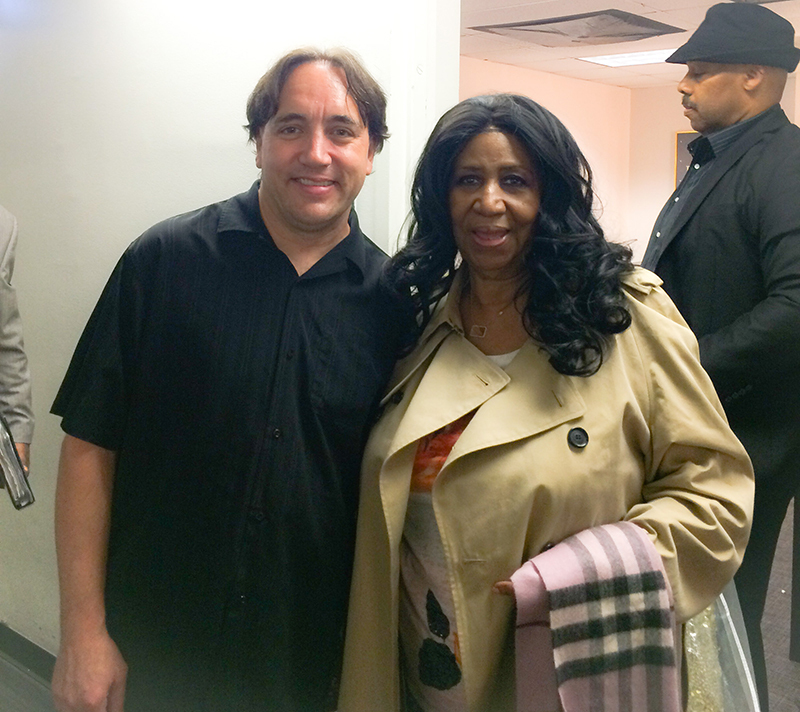 I had the amazing opportunity perform with Ms. Franklin throughout my career. In fact, Aretha’s long time Musical Director, HB Barnum and I would put together the band for her live shows. 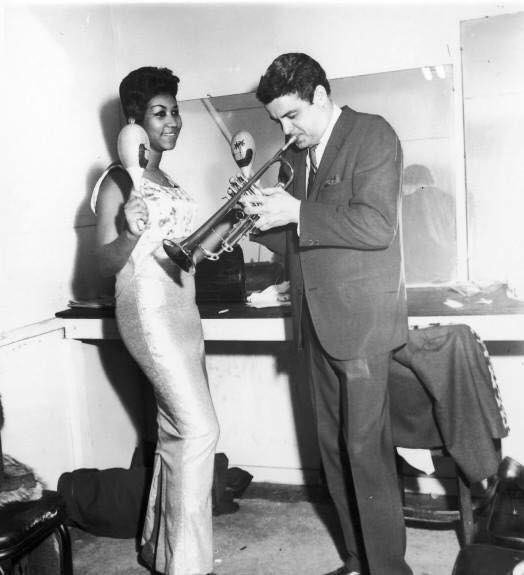 One day I sat down and spoke with Aretha about the legendary trumpet player, Maynard Ferguson. I had this old picture of her and Maynard from way back in the day. She LOVED Maynard and told me she was a big fan. After she learned I was in Maynard’s band she would always wave to me and say, “Hi Kenny,” from the stage. I was asked recently about what it was like to play with her. I shared the following: Aretha never showed up for sound check. She would watch the band on video live or have it taped. After she watched sound check, she would make the set list. I think she wanted to watch the band in real time to see what sounded best that night. Another thing, every show would have an intermission. She always wanted to make sure she had the power in her voice to give fans everything they wanted to hear. It was always great to play the big hits with Aretha. When she started singing “Think,” or “Baby I Love You,” the crowd would come really alive! Aretha Franklin ended each show with a gospel instrumental. She always played homage to where she began singing. Every single time, the audience would jump to their feet and get so excited. A few days after she died I was contacted to assemble a band for Ms. Franklin’s funeral. I called musicians from Detroit and across the country. They agreed to come in and donate their time to perform at this historic event, to say good-bye to a legend. When I walked into the church today I was sad to say goodbye. I wanted to remember the legend she was, I didn’t want to see the suffering she went through these past eight years. I wanted to remember Aretha as the powerhouse she was! Then I looked up as I played, looking all the celebrities, friends, and family members that were there to say farewell… and my memory was jogged. That voice will live forever. Aretha Franklin…..this world will never be the same!